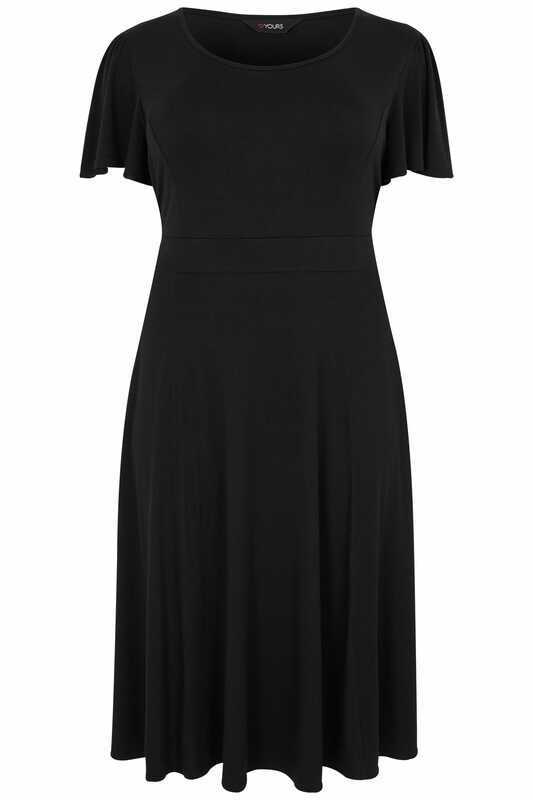 You can't go wrong with this chic black dress. In a shape flattering fit and flare skater style, its simple design features a self-tie waist and short flute sleeves. Team with high sandals and a statement clutch for after-dark appeal. We love the flattering silhouette it offers and the stretchy jersey fabric.